At Berman Chiropractic & Rehab we aim to educate our patients about chiropractic and other natural solutions to common health problems in order to motivate you to take a more active and responsible role in restoring and maintaining your own health as well as the people around you. Areas We Service Include: Smyrna, Mableton, Vinings, and North Atlanta. As the most trusted and recommended Smyrna Chiropractor, we understand that although our patients may be diagnosed with the same condition, everyone responds differently to treatments. 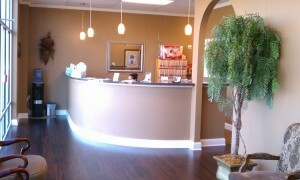 For this reason, we tailor a specific plan of action to meet your needs, goals & unique medical and physical condition. 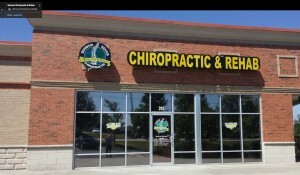 Finding a Chiropractor in Smyrna, GA who understands changing health care needs and the most current techniques and approaches to addressing health problems can be a daunting task. 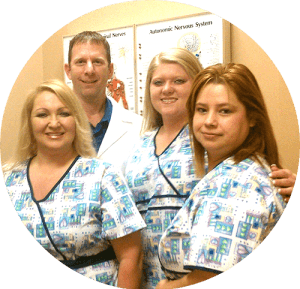 We hope that you will find our Smyrna Chiropractic care helpful in learning more about our gentle chiropractic care as well as the ways that it can improve the quality of your life. Going to the Chiropractor is a new experience for many of us. Maybe we’ve heard through a friend or have done some research online. It’s possible that you are just fed up with living in pain and it’s time to do something about it. In either case, your first visit our smyrna chiropractor will really be about getting to know Dr. Neil and discussing your history, current condition and goals. As with any doctor’s visit, you’ll start by finishing some new patient paperwork. Upon meeting with Dr. Neil Berman, you’ll discuss your concerns and expectations as well as have the chance to ask any questions you may have. We will perform a physical examination and most likely take a few x-rays to see what your current state is. Once this is complete, we’ll take a look at the overall results of our conversation and the exams. Together, we’ll come up with a plan of action which will begin when you are completely satisfied and ready to move forward. Come by our office and ask for Dr. Neil Berman, the one and only smyrna chiropractor and we’ll be more than happy to provide you with a risk free consultation. Treatment for lower back pain depends upon the patient’s history and the type and severity of pain. The vast majority of lower back pain cases get better within six weeks without surgery, and lower back pain exercises are almost always part of a treatment plan. Dr. Neil Berman, the most trusted Smyrna Chiropractor, provides his patients with the care, dedication and treatment they need to get well. Neck pain can be caused by sudden trauma like muscle strains or sprains that heal quickly, neck pain treatment generally begins with conservative care in the form of pain medications, heat/ice therapy, and even physical therapy and muscle conditioning. As a smyrna chiropractor, Dr. Neil Berman understands the benefits of chiropractic treatment for his local patients. Massage therapy may help the body in many ways. Massage can relax muscle tissue, which may lead to decreased nerve compression, increased joint space, and range of motion. This may lead to reduced pain and improved function.